Boy Oh Boy, what a mistake I’ve made. I should have listened to this album much earlier, because it’s damn good. Mind you, it’s not on par with what must be Queensrÿche’s most successful and most influential album up to now, that is of course ‘Operation Mindcrime’, but it almost reaches the same celestial heights. Which is quite a surprise, since Geoff Tate was sort of the signboard of Queensrÿche. To make matters worse the remaining band members and Geoff started a legal process about rights on the band name, and did not fear throwing mud at each other in the process. So it was that two Queensrÿche’s tour the world, one with Geoff and the one with three remaining band members, with the addition of former Crymson Glory vocalist Todd La Torre. 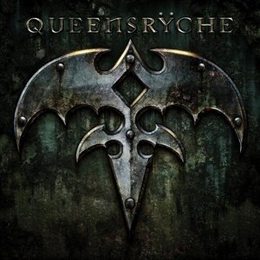 I haven’t had the chance to hear the album Geoff’s Queensrÿche released earlier this year, but I’ll try to correct that as soon as possible, because I want to be able to compare the two albums. What can be said about this album is, for a starter, that the new singer Todd La Torre acquits himself of a very good job here. If I hadn’t known it I would practically not have been able to guess that this was Queensrÿche with another singer. He almost sounds exactly like Geoff, but not for a 100 %. I would even dare to state that at times he sounds a bit like Bruce Dickinson. And the addition of Parker Lundgren, only 27 years old, on guitars has also been a very good decision. Just listen to ‘Where Dreams Go To Die’, a track he composed. It’s very hard to pick a favorites track, but if I have to I’d go for ‘A World Without’, which is a rather slow song, but is fantastic. The only minor point I can give to this album, is that it has a running time of only just over 35 minutes, but the quality of the music, the new found energy of the band, makes up for that.